1.In small skillet, toast almonds over medium heat 4 to 5 minutes or until lightly browned, stirring frequently. 2.Spray cookie sheet with nonstick cooking spray. In bowl of food processor with knife blade attached, process 1/4 cup oats and almonds 15 seconds or to fine crumbs; transfer to medium bowl. 3.In large bowl, combine dried fruits, sunflower seeds, coconut, cinnamon and remaining 1-1/2 cups oats. Add peanut butter, honey and extract, and stir until well combined and mixture begins to stick together. 4.Using gloves or moist hands, form mixture into 1-inch balls, then coat lightly with almond-oat crumbs. Place on prepared cookie sheet and cover with plastic wrap. Refrigerate at least 4 hours or overnight to allow oats to absorb moisture. Make a double batch and freeze all the leftovers. 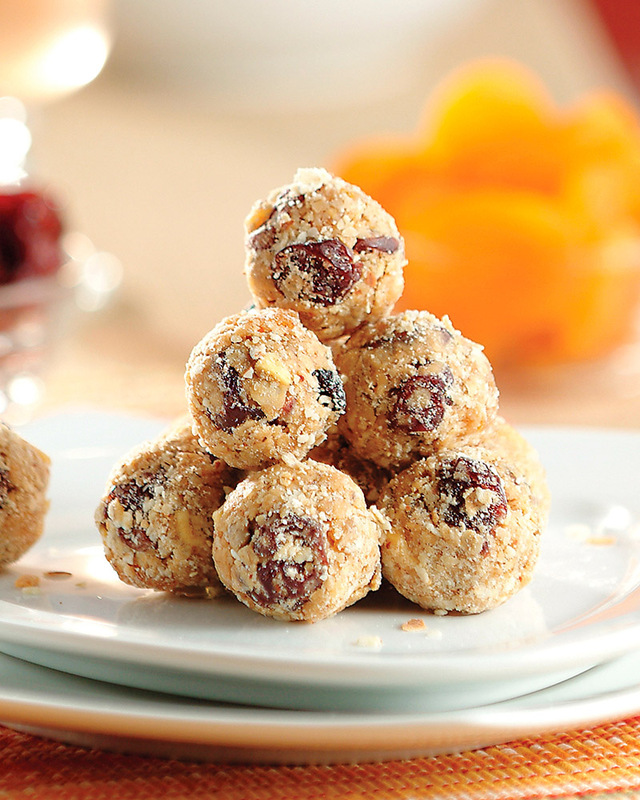 They make a perfect snack for a sweet tooth or can be an appetizer or dessert for unexpected guests! Try mixing it up by using your favorite dried fruits, nuts and nut or seed butters.